Misty Williams founded Fiery Seas Publishing in 2014. She has over ten years experience from writing to marketing and publicity to editorial. She now uses the things she has learned over the years to help build the companies growing number of authors. Misty is always looking for a great book that will keep readers up all night. She is looking for mysteries, thrillers, horror, science fiction, fantasy, YA/middle grade, romance, and historical fiction. 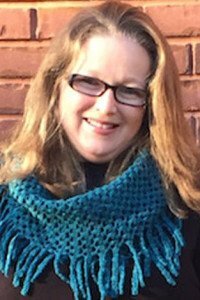 Misty Williams, founder of Fiery Seas Publishing, has always had a love for books and the written word. Growing up, she often spent her time reading and writing stories. As she got older, this passion for literature continued, and she began to delve deeper into the writing/publishing world. Thirsty for knowledge, Misty did everything she could to learn the ins-and-outs of publishing and writing—classes, online workshops, conferences, conversations with agents & editors, ad infinitum. When considering a potential client’s work, Misty says she wants lose herself in the book. She wants to see characters who resonate and connect with readers on many different levels. Though, above all else when considering a client (beyond a well-written story), Misty is looking for one thing: determination. “I’m looking for someone who isn’t afraid to hear critical feedback that will only further his or her story,” she says. “Writers have a hard job, and I understand that. They have to grab a publisher/editor/agent’s attention and hold it, but it doesn’t stop there. They have to hold the reader’s attention, as well. “It has to be an all or nothing type of attitude. Determination plays a key role in this because the job doesn’t stop at writing the book. It goes into marketing, edits, and writing the next book. In order for Misty to get excited about a client’s book, a lot of the work onus falls on the client’s query letter. For her, a well-crafted query letter can speak volumes about a client’s work. Of course, the real test occurs when she begins reading the pages. “Fiery Seas is looking to build our growing number of authors. We have lots of exciting things happening this year and would love to have more join us in the journey. Killer Nas hville prides itself on the connections made at our annual conference, and we structure the event so authors can easily make connections with agents from leading literary agencies. 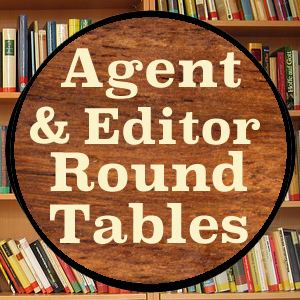 We’ve near-endless opportunities for you to get one-on-one time with agents and editors, including Network Lunches with Guests of Honor A.J. Tata and Chris Grabenstein, the Guest of Honor Dinner and Awards Banquet our daily agent/editor roundtable sessions, and much, much more!